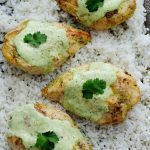 If you love Cafe Rio then you will love this copycat version of their chicken. 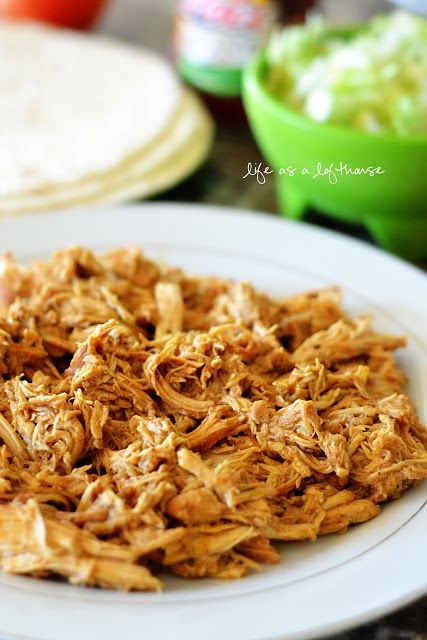 This recipe slowly cooks in the crock pot and creates a delicious and tender Mexican chicken! 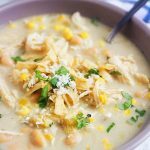 This is a copycat version of Cafe Rio’s chicken and it is HEAVENLY, my friends! 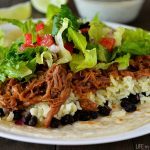 It’s another one of those amazing crock pot meals that I just love. It is so flavorful and your house will smell so good as it cooks! 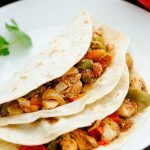 This chicken is perfect to use in tacos, burritos, and on salads. You will love it anyway you choose to eat it! Place all ingredients in a crock pot. Cover with lid. Cook on High 3 hours OR on Low for 5 hours. Shred chicken with fork and serve in salads, burritos, tacos.. whatever you want! So easy, So good! OH! WOW! This looks so YUMMY! Plus I can’t even tell you how big of a fan I am of crockpot recipes! Thank you! Can’t wait to try it out! I can’t wait to make this! I also LOVE crockpot recipes!! I bought ALL the ingredients for all this, but I couldnt find the HOT BLONDE CHEF that is supposed to come with it??? NAmed HOLLY!!! So what is a “small” bottle of dressing? And what size packet? I used 8 oz of dressing (smallest bottle in my store was 16 oz), and a .4 oz packet of ranch dressing mix (my store had 3 sizes, .4, .75 and 1 oz), and it was too zesty tasting and wasn’t the color of yours (it was the color of zesty dressing,not ranch). I made these last week and I didn’t care for the zesty Italian wafting through the house and wasn’t sure the chicken would turn out good. Boy was I wrong! This stuff disappeared in about 8 seconds with homemade taco shells, cotija cheese, cilantro, tomatoes and avocado. Yum! This sounds amazing Holly. I can’t wait to try it. I have a HUGE pile of your recipes I am planning on making! 🙂 Have a terrific weekend! QUESTION: How might I go about freezing this Cafe Rio Chicken for future use? (I did read the USDA freezing instructions you posted elsewhere) Is it really just simply letting it cool completely and throwing in a freezer bag and placing in the freezer??? Thanks again for all your great meal plans and ideas – and thank you for your time invested! If I double this is it ok to cook for 6 hours on low? We tried this last night in tacos and it is AMAZING! I made the leftovers into a taco salad today and it was the best I’ve ever eaten. I will made it over and over and over again lol. Thank you Holly for the wonderful recipe! My whole family enjoyed it, and it is so easy to make. Winner all the way through . Definitely going on our meal rotation.